Lacrosse gear starter kits provide a package deal on a full set of equipment appropriate for beginner and intermediate players. STX, Maverick, and Warrior each offer starter kits. Any of the sets available are good choices. An older player (12U/14U) may want to consider the STX Stallion 200 or Maverick MX package since they are little but more substantial—more contact is allowed at the 12U and 14U level and players tend to be stronger and bigger. That being said, my aggressive 10U player has used the Maverick Charger set for 2 years with no issues until he grew out of it. The Warrior & STX sets are available through Dicks Sporting Goods. shttps://www.sportstop.com/size-chartsportstop.com offers both Maverick and STX sets. A full set of pads includes shoulder pads, arm pads, and gloves. Each piece of equipment in the set is individually sized to ensure a comfortable fit (ie. you can purchase a Lrg shoulder pad, Sm arm pads, and Med gloves). sportstop.com provides good size charts to help choose the best size. Helmets can be added to the starter packages as well. The packages include a few different styles of Cascade helmets that meet all safety standards. 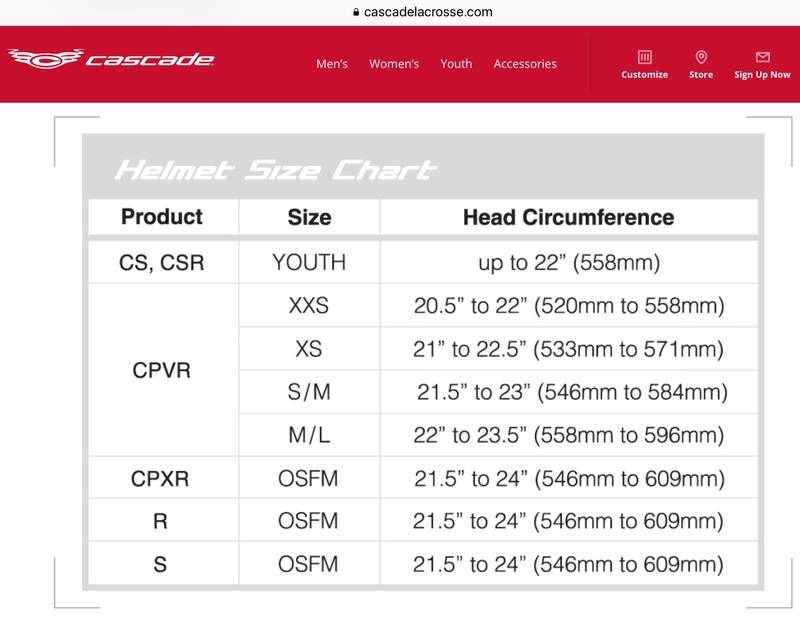 See the size chart below for the helmet styles and sizes. Sticks can be added to starter sets as well, but if possible, purchase the stick separately. The sticks in the starter sets often require quite a bit of readjustment and/or restringing of the mesh and breaking in to create a good pocket to hold the ball, and this adjustment period can make it difficult and frustrating for beginners learning to cradle, catch, and throw. 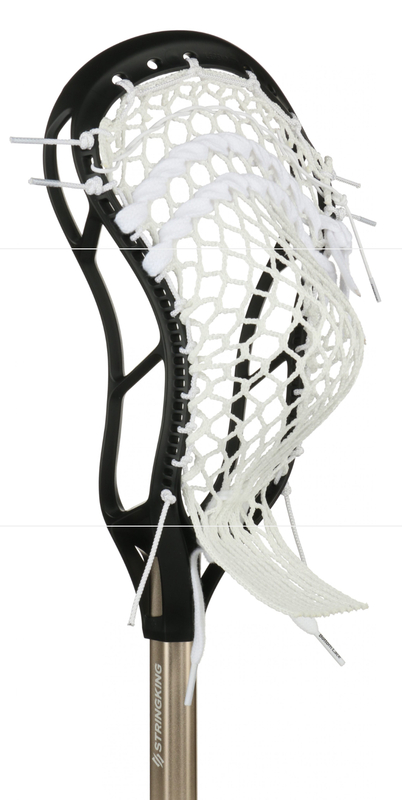 Stringking (a top of the line lacrosse gear manufacturer) offers a highly-rated, complete beginner stick, available from our local lacrosse gear store FlaxPros. They offer the “Complete Jr.” Stick for $50-55, designed for 8 &under players and the “Complete Intermediate” for players 10-14 for $85-90. Online vendors and Dicks generally offer them for $60 and $100 respectively. Contact Brent via his website or facebook page and let him know you are with Niceville Lacrosse.